As I mentioned in my last post, I am in Kenya to elaborate a research proposal. 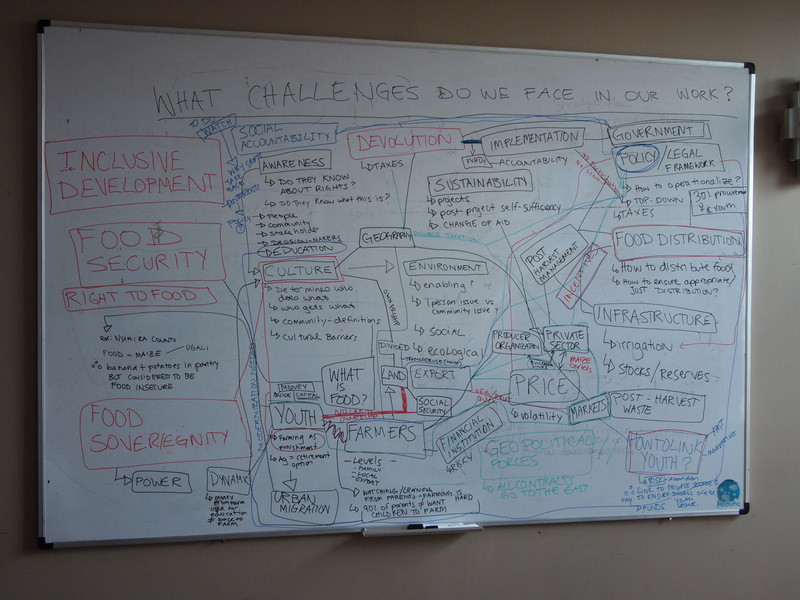 The basic idea is to look at challenges and opportunities related to inclusive development. 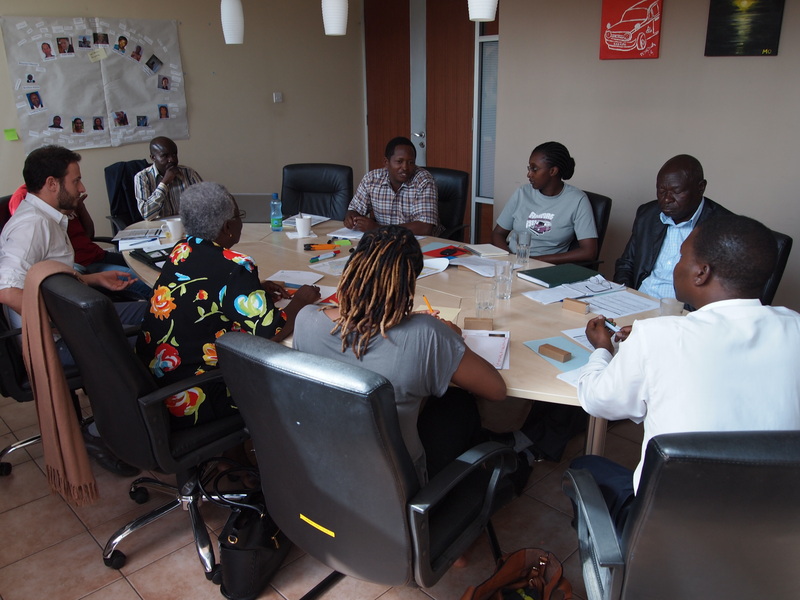 Last Friday we came together with our Kenyan partners and worked through an challenging agenda to arrive at a more concrete idea for what the research project should look like. 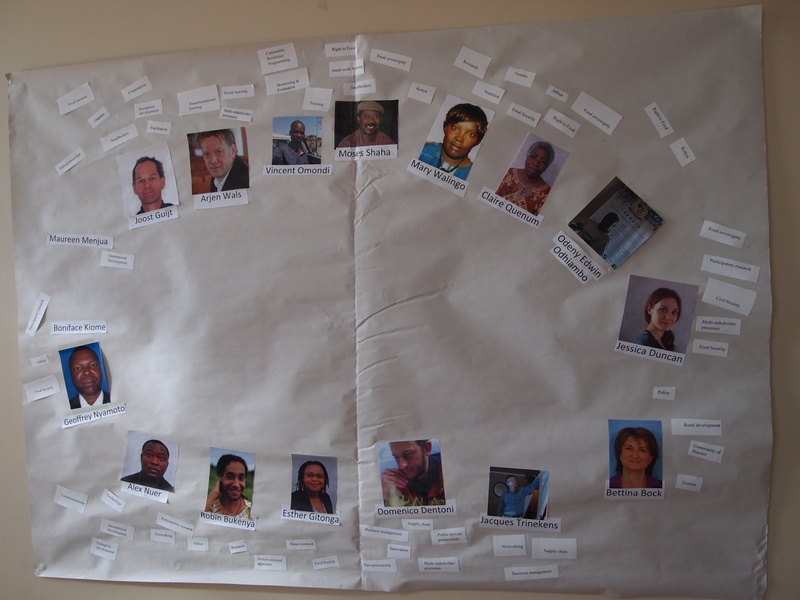 We started by identifying out own passions and strengths and then identified our networks. Even with the diversity of actors in the room (social movement leaders, NGOs, farmers, youth representatives, multi-stakeholder platforms, academics) and the constraints of the call for proposals, we managed to come to consensus on a research agenda that was equally committed to exploring the implications and drivers of policies for inclusive development in such a way that provides an opportunity for action and education. Importantly, the areas we decided to concentrate on are also areas where our team partners already have active projects. Our job now is to reflect on the research project in relation to the various meetings we have has with various stakeholders and a series of field visits that were coordinated by the Kenya Small Farmers Association and Maasai Mara University in partnership with the County of Narok. More pictures and stories to come!